One of the most important decisions you must make as a parent is choosing a dentist for your child. If you do not choose carefully, you could end up with a dentist who frightens your child and sets back their oral hygiene. When you are choosing a dentist for children, you need to take your time and review them carefully to make sure they are a good fit. To help you make your decision, follow this guide to selecting the right dentist for your child. It takes a lot of sensitivity as well as some specialized training to be a good paediatric dentist. You want to avoid just taking your child to your own dentist unless your dentist also specializes in paediatric dentistry. You can use this search tool from the Australian Dentists Directory to find dentists in your area who specialize in working with children. After you have searched to find some paediatric dentists in your area, your next step is to meet with them. You want to bring your child along for the meetings. These initial visits should just be consultations. You don’t want any actual dental work done before you have figured out which dentist is the ideal fit for your child. During these initial consultations, see how your child and the dentist get along. You want to find a dentist who has a warm manner and puts your child at ease. If any of the dentists are cold or do not want to take the time to answer all of your questions, immediately cross them off your list. One thing you should look for in these initial consultations is for a dentist who is a good educator. You want a dentist who will take the time to provide you with good tips on how your child can maintain good oral hygiene. The dentist should be able to be an effective communicator who can explain things both to you and to your child equally effectively. When you are going around on these initial consultations, make sure to bring something to take notes on your findings. One thing that you will want to jot down in your notes is what kind of atmosphere you detect in each clinic. The waiting room should be full of toys and kid-friendly magazines. You also want to notice the atmosphere in the examination rooms. They should have kid-sized chairs and equipment. The last thing you want is for your child to get intimidated by sitting in an oversized dental chair that is made for adults. You also want to observe the office staff. They should be warm and friendly both with you and your child. After you have gone around to the various paediatric dental practices in your area for the initial consultations, you want to go over your notes and narrow it down to a few potential candidates. Once you have done this, it is time to sit down with your child and have a discussion about which dentist they liked the most. 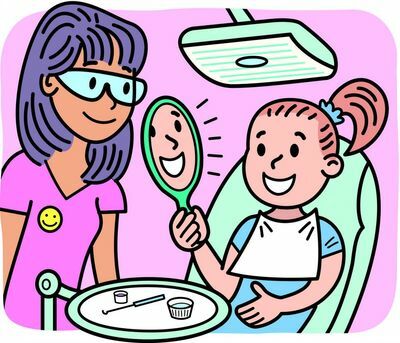 Remember that it is even more important that your child likes the dentist than that you do. 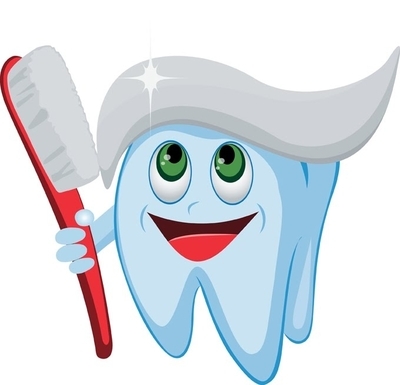 If there is more than one dentist that your child likes or your child is indifferent, then you should pick the one that you think will do the best job. It may seem like a lot of work to find the right dentist for your child, but it is well worth the effort. A good paediatric dentist will set your child up for a lifetime of good oral health. Being able to enjoy your child’s beautiful smile for the rest of your life will be the reward for your efforts.